We are in Delaware doing a bit of traveling. My husband has to work down here for a few days, so we decided to drive down and join him. I just got connected to the internet in my hotel room. It took me forty-five minutes. Me not so tech savvy. Anyways, my husband said he'd do the laundry while we're here. (I 'bout passed out.) 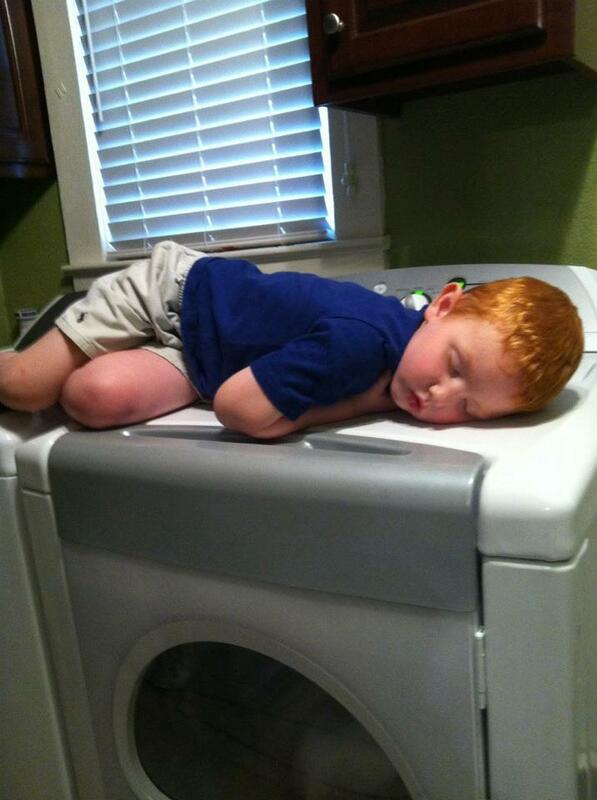 There's a washer and dryer where he's working, so he volunteered. I was pretty excited because now I won't have to spend afternoons in a laundromat with my two boys like I'd expected. It's a win-win. "Wait a minute... Where did the baby go? " 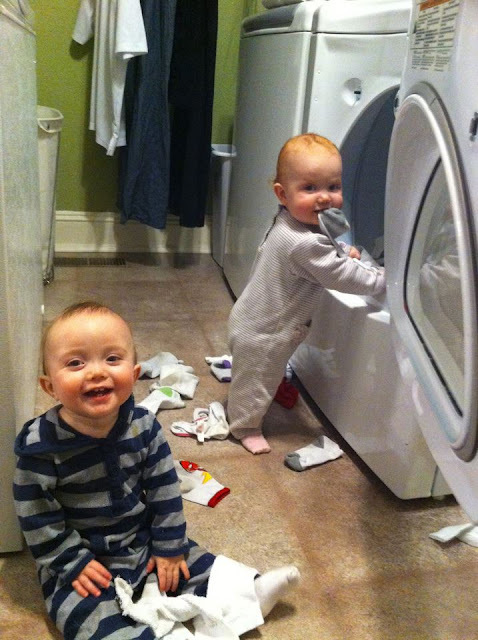 Little Ones Love to "Help". someone decides to play in the laundry powder. 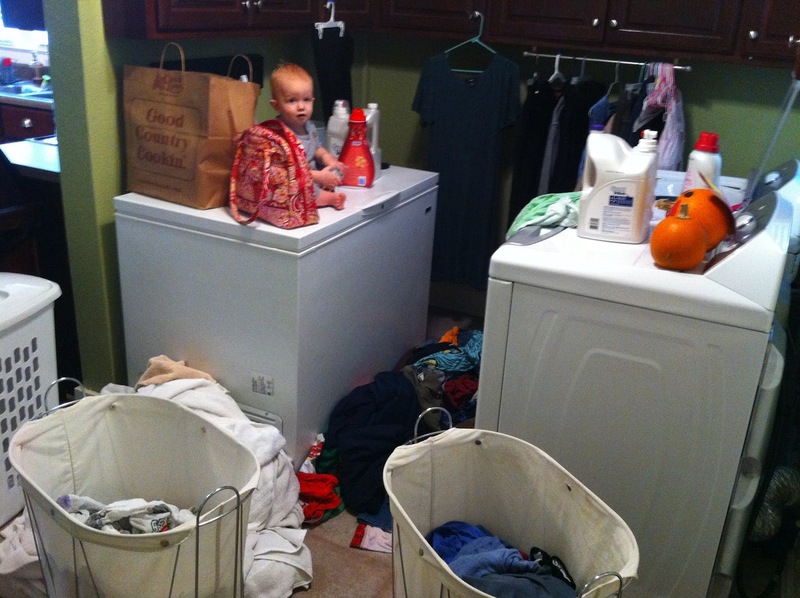 Laundry is hard to stay "on top" of. Next week's theme for Oh Snap! shots is "Dog Days of Summer". Send me pics of your summer stuff. Funny vacation shots, creative outdoor games, front porch hang-outs, indoor activity mishaps, or funny pool shots. Anything SUMMER! So, what are you guys doing this summer?? Please share! Isn't he adorable? He is one of seven kiddos in his house! And I never thought about putting them on top in their car seats... maybe that would have worked for us. Whew! Those baby days are HARD!